Our Futures Programmes are designed to introduce our students to specific careers as part of their extra-curricular studies. 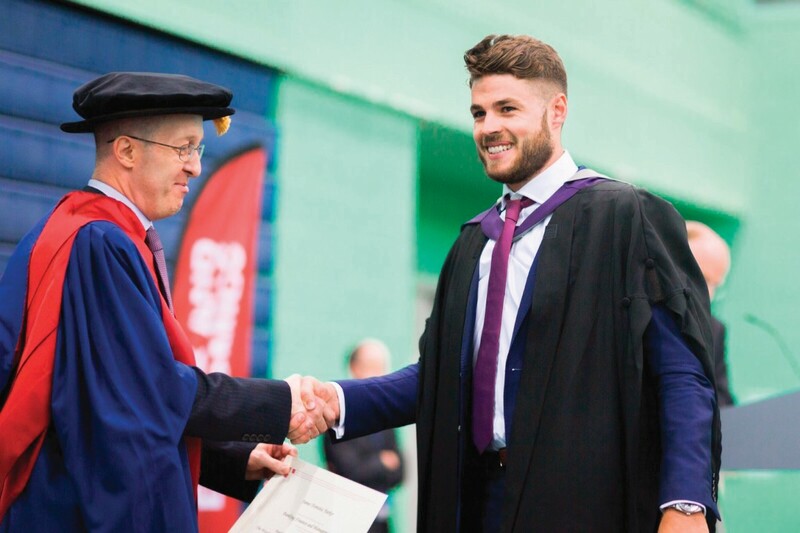 The programmes are designed to develop interests in areas such as Medicine, Science, Sports Science and Teaching to broaden student’s knowledge and understanding of these vocations. We also deliver programmes that support applications to Oxford and Cambridge as well as Mathematics courses at all universities. The aim of these courses is to introduce students to new topics, away from the curriculum, for research, interest or discussion. Students will have the opportunity to visit businesses and universities as well as attend guest lectures as part of the programme. This can lead to work experience in these areas which is essential for university applications. Students can opt to take one or more of these courses when applying for the Sixth Form. Our students can achieve anything they want to! This includes gaining places at our most prestigious institutions. The course introduces students to life at Oxford and Cambridge, outlines the opportunities and benefits of attending these universities and challenges the perceptions students may have about them, and the people who study there! The application process to Oxford and Cambridge is different to that of the other higher education institutions. An application is made through UCAS but there is an earlier application deadline, as well as an additional application form for Cambridge applicants. The high percentage of students requiring interviews and additional entrance exams means that further support is required to increase chances of success. Our Oxbridge programme begins in Year 10 with Excel programme and continues once students join the Advanced Academy. Students with a high number of level 8 and 9 grades at GCSE are offered the chance to join the group. Their academic performance is monitored carefully throughout Year 12 to ensure they are supported to perform to the highest levels. After Christmas, students get the chance to visit the two universities on residential visits. 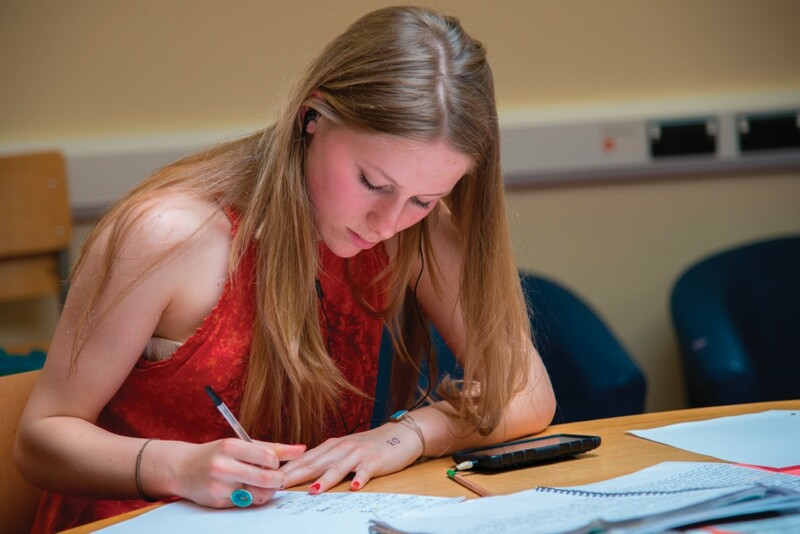 They are encouraged to study for an EPQ and apply for the Nuffield and Sutton Trust summer schools which provide outstanding opportunities to learn from the finest academic experts in their field. In Year 13 students meet their tutor on a weekly basis to prepare for the interviews and admissions tests take place in November and December. As part of the wider opportunities offered within the Sixth Form, students can get a real experience of life from the other side of the desk! As well as taking part in professional development meetings, teaching seminars and teaching & learning workshops, our Future Teachers also experience teaching from within the classroom. Buddying with outstanding classroom practitioners, Future Teachers students take part in early years, primary, secondary or even further education classes in subjects in which they have strengths and enjoy. Working with experienced teachers and younger pupils provides a very real experience of the profession; Future Teachers will learn how to lead groups, model tasks and enthuse young people in their learning. This style of teaching practice is recognised by all universities and colleges offering courses in teaching, and can fulfil part of the entry requirements for Bachelor of Education degree courses. As part of the scheme, students will take part in a cross-school seminar with guest educationalists who will inform and inspire, providing valuable insights into the profession. The Future Teachers scheme facilitates a real partnership between school and student, promoting excellence in teaching, learning and leadership. Elite institutions expect more than just academic success from applicants for places. This is certainly the case in mathematics, where places on courses are in extremely high demand. There is a very good reason for this; Maths graduates are highly employable and have a skill set that is unparalleled. Moreover, Maths is a fascinating and beautiful subject. The Future Mathematicians programme is about providing you with opportunity to experience and appreciate some of the maths that exists beyond the scope of A Level Maths and Further Maths. One of the fundamental differences between school and university mathematics is the shift from solution to proof. Through this programme you will meet some of the most remarkable proofs and theorems of all time. We will study and discuss some superb and ground-breaking mathematical texts, thus exposing you to the kind of exploration and further reading referred as experienced at university. This programme is designed to support those students who have the aspiration to read mathematics at university, particularly at Oxbridge/Russell Group institutions. At NT6 we look to give students the right guidance and support in preparation for a successful career in Medicine. Medics can only apply to 5 medical schools, and their deadline is the 15th of October each year. Students are supported to develop their knowledge and understanding of the profession as well as achieve the A* and A grades expected of them. Students on the programme experience a range of medical disciplines. They attend medical conferences, University Open days, engage in workshops run by medical students on different medical issues, as well as being mentored by them in their studies. Work experience is a vital part of the application; we have links with Plymouth and Exeter Medical Schools that provide visits for our students. Students will gain guidance on university subject requirements with the help of an academic mentor. Students are expected to undertake work experience over the two years and read widely about the medical issues and advances that are constantly being made. Science courses at University are amongst the most popular and valued degrees, and as a result are incredibly competitive. 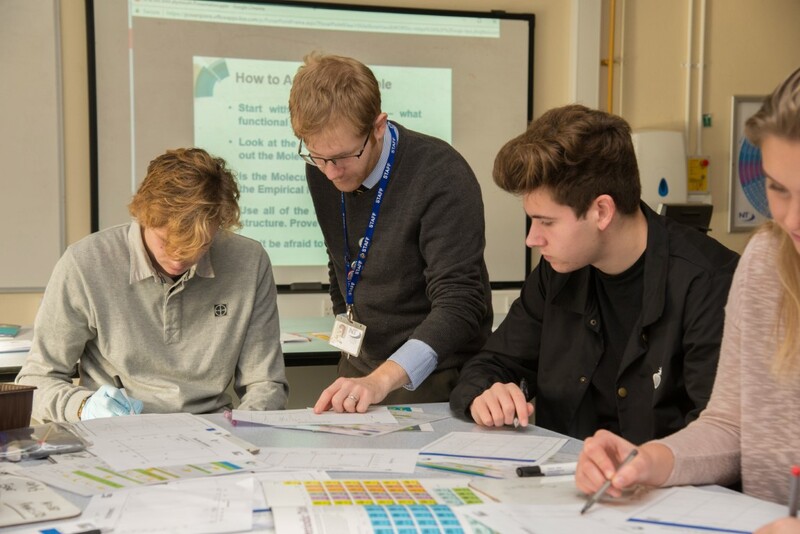 This course offers Science students the chance to further their knowledge of their chosen subject as well as having the opportunity to attend specialist lectures and seminars to give them the edge when applying for university courses in Year 13. It is a huge benefit to students thinking of careers in highly regarded science disciplines. Students are supported by staff during their studies, who will provide extra reading and work to develop their understanding of topics. NT STEM6 runs as an extra-curricular programme, with students combining visits and guest lectures alongside their science studies. 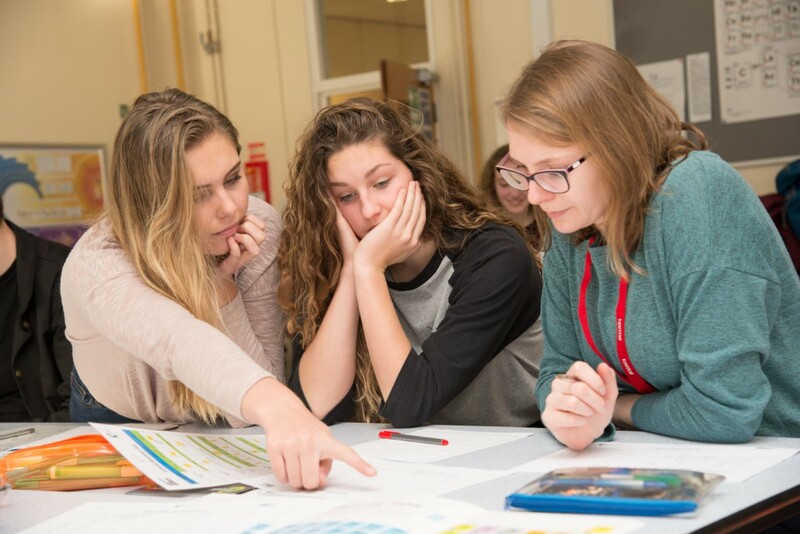 This supports their curriculum studies whilst also providing opportunities to extend their experience of science within Sixth form and beyond. The course allows students to follow their own interests as well as be guided through the key scientific issues of the day. The chance to carry out extended practical experiments, investigating science beyond the curriculum, is one of the key features of this programme. Students consolidate their practical skills on visits to Primary schools. Acting as ambassadors for Science, they organise and run the Science Roadshow for Key Stage 2 pupils. They are also responsible for running events during Science Week in March. University and workplace visits allow students the chance to see how science is used and applied in the real world. The Internship week at the end of Year 12 provides the opportunity for NT STEM6 students to complete a science-based work experience, undertake a research project or visit a specific university or place of interest. We work closely with the Headstart programme to help place students in University laboratories in the summer term to get real experience of studying in such an environment. We also have a number of students who attend summer residentials as part of the prestigious Nuffield Trust programme. Have you ever wondered about how diet allows an athlete like Chris Froome to lose weight but increase power to win the Tour de France, or how one swimsuit allowed world records to be smashed in the pool? If so, this course could be for you! Sports Science is one of the fastest growing areas of the Sports Industry. It is a multi-disciplined science that is used by all professional sports. The impact of nutritionists, therapists, psychologists and biomechanics coaches was clear for all to see at the Olympics in 2016. This course is aimed at students who are interested in either studying Sports to degree level, or who wish to follow a career in Sports Science or Sports Medicine and rehabilitation. There are clear links to the A Level PE curriculum but it is open to non-specialists who have a scientific background. Students are introduced to a range of topics through practical sessions and visits to bring their learning to life. As part of the programme we visit and use the world class labs at Bath University, where students get to test both themselves and others. Students will work with mentors to provide guidance and support throughout the course as well as having personal training focused on improving performance in their individual sports.